The HR Florida Leadership Conference is a forum designed to support volunteer leaders who serve throughout 28 local Society for Human Resource Management (SHRM) chapters throughout the State of Florida. Our goal and mission is to provide our 300 plus volunteer leaders with successful business strategies to ensure the continued operational success of their non-profit organizations. Click the "Register" link to get started! “In-Kind” Custom Level Opportunities exist for conference bags, attendee badges, t-shirts , videography and printing needs. Please contact us to discuss these opportunities. Sponsorship opportunities are available on a “First come, first serve” basis! Don’t miss out on this opportunity to present your products or services to key decision makers at businesses throughout Florida, while showing your support of the HR profession and local Florida SHRM chapters! For sponsorship inquiries please contact Nancy Korista at nancy.korista@hrflorida.org or Leigh Mills at leighmills@hrflorida.org. Select, pay, and print your receipt for your sponsorship on-line through our secure site. 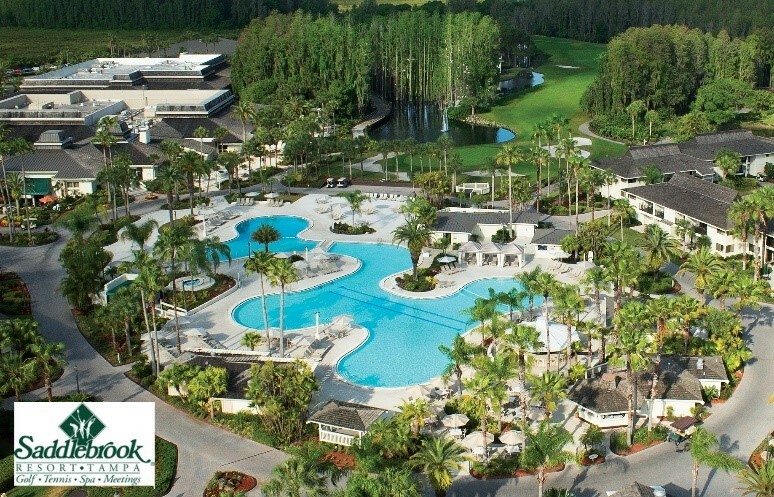 We are excited to be hosting this year's conference at the incredible Saddlebrook Resort and Spa. CLICK HERE to book your hotel room. Conference hotel room block closes on 09/03/2019.